Nose: Intense, developed aromas, reminiscent of fruits, walnuts and vanilla with great depth. Palate: The very round, soft taste has a velvety depth of body and unsurpassed length. 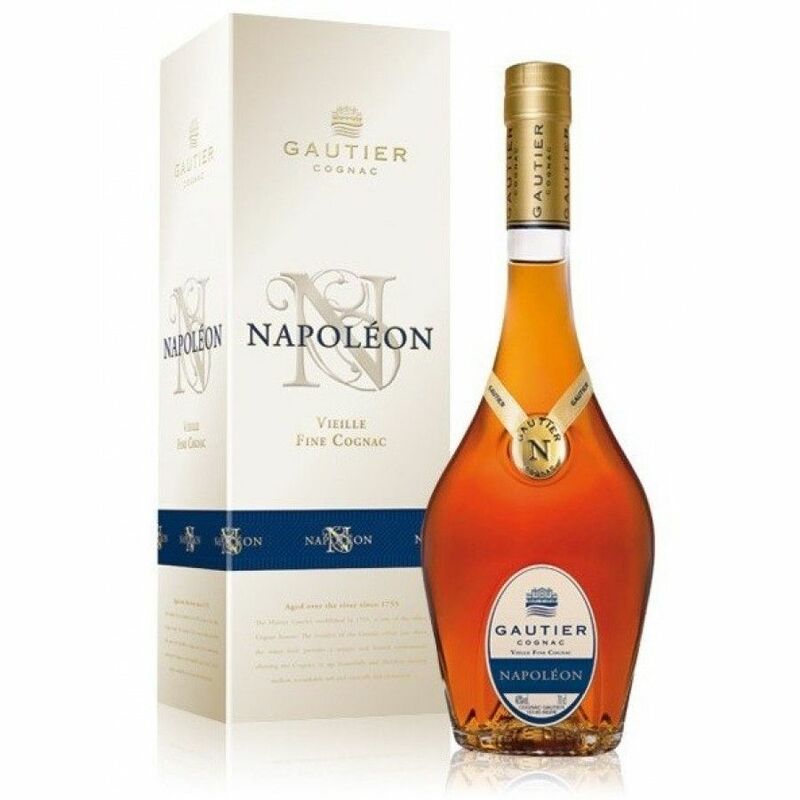 The Gautier Napoléon Cognac is a wonderful, well-aged blend that's been created using eaux-de-vie from four different terroir. These include both of the premier crus of the regions - Grande Champagne and Petite Champagne. The result is a very fruity Cognac; one that's intense yet well-rounded, making this the perfect digestif for the traditionalist. But make no mistake - because whilst this is an excellent Cognac to enjoy neat - and perhaps hand warmed - it also lends itself well to a little adventure. Try it on the rocks to experience a subtle alteration in flavors and aromas. Or, for the very daring, place a bottle in the freezer and enjoy the delights of its icy depths.. Whichever way you choose to drink, this is a Cognac that won't disappoint - both in taste and appearance. The bottle is elegant, and one that's been exclusively designed for the house of Gautier. The gold ribbon around the neck makes it especially relevant to give as a gift. I got this at the market the other day, and the price is excellent. Probably the strongest element of this liquor is the nose. The after taste is quite good too. Great price!